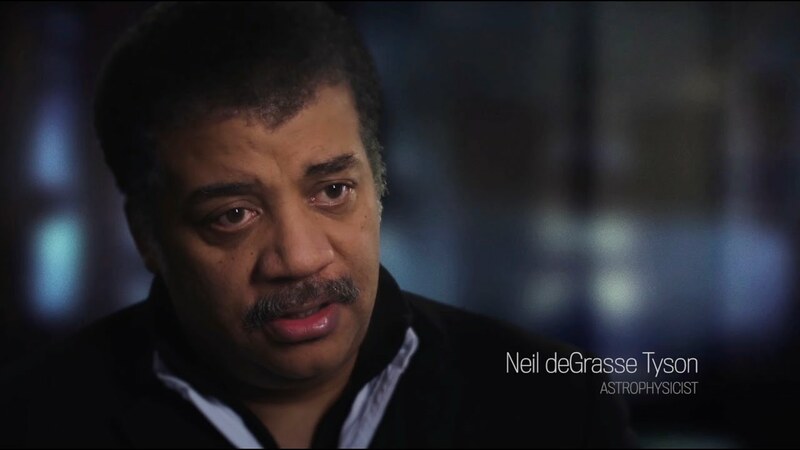 Famed astrophysicist Neil deGrasse Tyson released an emotional new video in which he passionately implores Americans to reconsider how they are increasingly relating to science. In the post accompanying the video on his Facebook Page, Tyson wrote that this video contains “what may be the most important words I have ever spoken”. He explains that innovation through science is how America, a “backwoods country,” became “one the greatest nations the world has ever known”. Case in point - American politicians. This stark statement is followed by an archival clip of then-congressman Mike Pence saying that evolution should be taught as a theory not fact. The video, directed by Sarah Klein and Tom Mason, proceeds to show news clips of science under attack, with people questioning vaccines, GMOs and climate change. Today’s America is “not the country I remember growing up in,” laments Tyson. He brings up the 60s, the 70s, and the civil rights movement to point out that he doesn’t remember any time in recent American history when people were denying what science was, implying that this is what’s happening today. Tyson defends science as an “exercise in finding what is true”. The scientific method involves testing hypotheses and peer review. Out of such a process rises what he calls “emergent truth” which is “better than anything else we have ever come up with as human beings”. Science is “not something to toy with,” according to Tyson. You can’t choose to believe an equation like E=mc^2. Of course, he may be overstating there. You could very well propose an alternate equation as such is the way of science. He forcefully says that the “emergent truths” arrived at through science are “true whether or not you believe in it”. And what is important is for people to understand that and move on to political conversations on how to solve our real problems. Tyson focuses on climate change as an issue that is demanding our agreement - people need to get on the same page that this is a serious problem and work to solve it. He alludes to “carbon credits” or tariffs as possible topics for a political conversation that should have been had years ago, but keeps getting delayed because too many are in “denial”. He calls upon Americans as voters and citizens to become scientifically literate to be able to make intelligent decisions about the issues. “Recognize what science is and allow it to be what it can and should be in the service of civilization,” says Tyson.